Like many home vegetable gardeners, when I was younger I concentrated on the simple basics of having a home vegetable garden. The information I am about to share with you was never even a thought in my mind, but as I have come to learn, knowing it, has made me a better gardener and my harvest more productive. You can keep your home vegetable garden at the current level of where it is now of planting some seeds, adding water, maybe a little fertilizer and waiting for the vegetables to come up, or you can follow the advice below and produce even more. This term refers to the depth at which you plant a seed. It varies by plant variety and seed size. A typical rule of thumb is the smaller the seed to more shallow it has to be planted. The reason being is each seed as built into it the ability to push through the topsoil. Larger seeds can push through from deeper depths whereas smaller seeds need to be closer to the top. Germination is the process of when the vegetable plant emerges from the seed. Sure that one is easy, but there are factors that you can control to create optimal conditions for your seeds so they can germinate faster. For instance each vegetable plant likes the soil to be a certain temperature. If the soil is colder then what it likes it may take longer to germinate and if it is too hot you could literally cook the seed. But, having it at the optimal temperature will ensure that the seed will not only germinate, but emerge much faster. Every vegetable plant uses nutrients from the soil. They need these nutrients to grow, thrive and produce tasty vegetables. The species of the plant will determine how much it uses of a certain kind of nutrient. For instance just like a body builder needs more protein, or a long distance runner needs more carbohydrates, your tomato plants require more of certain nutrients than say a cauliflower plant. Crop rotation is the process of where you plant your vegetables in different locations everywhere, ensuring that one valuable nutrient is not depleted from the soil due to planting the same crop in the same location year after year. This way the plant that needs more phosphorus will be moved to a location where the previous year the plant that was there did not require as much. Companion planting is when you plant different species of vegetable plants next to one another. You do this because these plants can compliment one another for a number of reasons such as insect, pest and disease control or one plant may put a nutrient into the soil that another plant requires in order to grow. Utilizing companion planting will make you garden go further than you ever thought possible. Get to know these letters well. They are short for very valuable items that your garden needs in order to thrive. For instance, pH is the pH level of your soil. You can get this reading (as well as the others N,P,K) by purchasing a home soil testing kit at your local home or garden center. If it is under 7 then your soil is acidic and over 7 it is alkaline. N stands for nitrogen, K stands potassium, and P stands for phosphorus. Although there are about 16 elements your plants need to grow strong, these are the big three. Knowing how much each of your plants need and supplying them the source to get it, will pay big dividends in vegetable production and taste. Get to know these terms above and master them. Your home vegetable garden harvest will increase to sizes you never thought possible. There are literally hundreds of different varieties and species of tomatoes. You can get them from very small like a cherry tomato to a larger one like beefsteak, and everything in between. Besides the number of varieties you have to choose from, they come in varying colors and shapes as well. Orange, yellow, red, to name a few colors, pear, plum and grape to name a few shapes. Regardless of which type of tomato plants you decide to grow, following a few steps can go a long way to hardier harvest, producing more tomatoes than you thought possible and tasting a lot better. Tomatoes like soil that is a bit more acidic, (pH level of 5.5 to 7.5), than most plants. In case you don’t remember the pH scale, which measures the acidity of something, it ranges from 0 to 14. Anything under 7 is acidic, over 7 is alkaline with 7 being neutral. 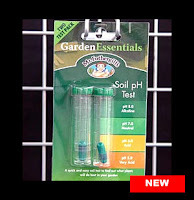 You can pick up a pH soil testing kit for a couple of bucks at your home or garden center. Simply follow the instructions on the kit to obtain the reading. If you need to bring the pH level down mix in some compost and manure in the fall before the spring/summer planting season. Tomatoes like the heat and if you live in an area of the country like I do where the heat doesn’t set it until mid to late June, then you will need to start your seeds indoors to give them plenty of time to grow when they are in your garden. Use a planter pot that is no more than 4 inches in diameter. Place one seed per pot and place the pot on a window sill in your house that receives sunlight first thing in the morning. Keep the water moist but not saturated. When you are ready to move your tomato plants from the indoors to the outdoors don’t forget to bury them deep. When you remove your tomato plant from the pot, make sure you bury them up to the first set of leaves on the plant. Tomatoes can develop a root system along the stems on the plant which is why you can do this with them. This will the plant stronger and more developed. Now that you have buried your tomato plant up to the first leaves of the plant, wait until your tomato plants are a good 2 to 3 feet tall and then remove the leaves closest to the soil. The bottom leaves are subject to developing various fungus and rotting problems and if you leave them on those problems will spread to the remainder of the plant. Tomato plants develop what are called suckers. These are growths that form in the “v” sections of the plants stem system. They will never bare fruit and do nothing but require the plant to transport resources to them. Simply remove these from the plant so more of the vitamins and nutrients are heading to the branches that will actually produce tomatoes. Keep in mind tomatoes require full sun and regular watering. Planting your tomatoes in an area in your garden that receives partial shade will do your plants a great injustice. Similarly, watering your plants only once in a while could stunt there growth, and overwatering will cause blossom end rot. Regular, consistent watering will yield the best results. It is something that I talk about in great abundance and that is vermicompost. Vermicompost is the end result of varieties of earth worms breaking down organic material. Their castings are what is called vermicompost. Extensive studies have shown that adding vermicompost to your soil (more on that in a moment) helps improve it’s physical structure, enriches the soil with micro-organisms, increased of microbial activity by more than 20 times than other forms of compost, and improves your soil’s water holding capacity which leads to savings on water since you do not have to do it as often. When vermicompost has been mixed in with soil, studies have shown that germination is a bit faster, plant growth is stronger and crops yield more. The root structures of plants are shown to be stronger than plants not grown in a vermicompost mix and the growth of roots are more defined. The best way you can add vermicompost to your soil is by burying your food scraps and leftovers at least eighteen inches deep. When you do this, worms in your soil ingest the food scraps, and their castings create vermicompost. Most worms can eat as much as their own bodyweight every twenty-four hours. There is no need for you to run out and buy worms (unless you are maintaining a vermicompost bin) to add to your garden, although it will speed up the process. Worms live naturally in the soil under your feet and when you bury food waste they will find it. By continually burying your food waste throughout the year in your soil you are constantly adding nutrients back to your soil and when it comes time to plant your vegetables, your soil will be ready with everything your plant’s need to grow and thrive. I recommend keeping a Tupperware bowl with your food scraps until and not burying the contents until it is full or a slight odor begins to form. Don’t worry about the odor that is the bacteria breaking down the organic matter. Do not put a lid on the bowl as that will create an atmosphere for anaerobic bacteria and that is not what you want. Without the lid, oxygen is getting in and that gives you the aerobic bacteria which is much better. Once the bowl is filled, dig a hole in your garden, dump the contents of the bowl into the hole and cover with dirt. Repeat this process picking a new spot in your garden, not repeating the same spot until every area of your garden has been accounted for with organic matter being buried below it. On a side note, never bury dog or human waste, or charcoal ashes in your garden. They are toxic to plants and worms. Cow and chicken manure are fine. So before you toss out that leftover bowl of spaghetti into your trash can, consider feeding it the worms that live in your soil. They will thank you for it by returning to you wonderful vermicompost that your home vegetable garden will absolutely love. Mike is the author of the book Vegetable Gardening for the Average Person: A Guide to Vegetable Gardening for the Rest of Us, available at Amazon, Barnes & Noble and where ever gardening books are sold. 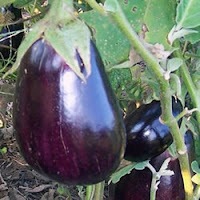 For more vegetable gardening advice, Mike can be reached at his website: AveragePersonGardening.com. In people calcium helps build strong bones among the many other health benefits, but it is not just for people. The plants in your vegetable garden need calcium as well and they get it through your soil. Most home vegetable gardeners have seen somewhere or heard from someone the importance of the N, P, K levels in your soil. These letters represent specific elements and stand for Nitrogen (N), Phosphorus (P) and Potassium (K). If you look on any bag of fertilizer available at your local home or garden center you will see these letters and usually a ratio values right on the bag, bucket or box. Although, N, P, and K, are considered the big three, they are only a few compared to the many elements and nutrients your plants need in order to grow or thrive. Just like you need all of your vitamins and minerals from A through zinc, a plant requires many nutrients as well. One specific nutrient it needs, just like humans, is calcium. Calcium in plants is required for proper cell division during plant formation and growth. If your soil lacks calcium the leaves of your plants will look yellow or pale and blossom end rot will occur more frequently. Other signs of calcium deficiency include bad root formation, browning of plants and small vegetable and fruit formations. If you have been vegetable gardening for sometime then you already know the importance of composting. If you do just simple composting such as burying your food scraps or keeping a compost pile of leaves, twigs and grass clippings and then adding that compost to your soil, then you more than likely already receive ample amounts of calcium. Of course if you are not doing this then you should begin right away. There is nothing better for your soil than adding organic material that will decompose and breakdown into the nutrients your soil needs. Good sources for calcium beyond composting include calcitic lime, calcium sulfate gypsum, bone meal, soft rock phosphate, calcium carbonate, and for those of you that have fire places, wood ashes. All or most are available at your local home or garden center with some being a lot more pricey than others. 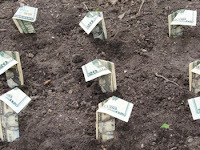 So if you are going to put out some money make sure you get a source that also includes other valuable nutrients. Bone meal for instance is a great source for phosphorus as well and by adding bone meal (a mixture of crushed bones) to your soil you are getting two very valuable nutrients for the price of one. On a side note, although wood ashes are a great source for calcium and a bit of potassium, never ever use ashes from charcoal. These ashes could be toxic to your soil, your plants and the underlying ecosystem that works hard to break down your organic material that you are burying. If you plan on using a commercial product, make sure you follow the instructions on the container so you do not add too much or not enough. A soil reading with a home soil testing kit comes in very handy so you know exactly how much calcium your soil contains. You can pick one up at your local home or garden center for just a few bucks. Phosphorus is very important in the early stages of vegetable plant development. Plants need this element in order to sustain good root development. If phosphorus is in short supply in your soil, your vegetable plant’s growth will slow very quickly or even worse, not grow at all. A common appearance of lack of phosphorous in your soil is streaks of purple up and down stems or on the leaves and low yield of fruits and vegetables. Phosphorus makes up one of the five elements needed in plant DNA for the process of photosynthesis, with the other four being carbon, hydrogen, oxygen, and nitrogen. All of the pieces to this puzzle must be in place, otherwise during seed development the plant’s DNA will not form properly. Phosphorus is a slow moving element in the soil. It also one of those elements where having a bit too much of it in the soil is not necessarily a bad thing. With its ability to stimulate early growth and root formation, having an ample supply of it in your soil will help speed up maturity, promote flowering and increase seed production. To gain a reading of how much phosphorus is in your soil, take a trip down to your local home or garden center and pick up a test kit for less than ten bucks. These kits will give you an accurate reading of how much phosphorus your soil contains and where the level should be for your area of the world. Once you get your reading and realize that you need to add phosphorus to your soil you have plenty of choices. The most common and probably the easiest and organic (if that is what you are looking for) is to add compost to your soil. I like to bury all of my food scraps eighteen inches throughout the year in my garden. When this organic material breaks down it turns into quality compost that keeps my soil rich in nutrients such as phosphorus. Other good sources for phosphorus include bone meal and rock phosphate both available at garden centers where fertilizers are sold. Bone meal is a mixture of crushed bones that gives off a slow release of phosphorus. Rock phosphate works best when it is finely ground and creates an extremely slow release of phosphorus in the soil. Either of these sources will work well when you need to add straight phosphorus to your soil. Just make sure you mix them in thoroughly for even distribution, wait a week or two and take another reading to see if you need to add more. Avoid slow or stunted growth, ugly coloration of your plants, delayed maturity or poor fruit or vegetable production by making sure you add the correct amount of phosphorus to your soil. Your garden plants will love you for it. Healthy cell growth and the process of photosynthesis in your home vegetable garden’s plants are two of the many reasons why nitrogen is needed. Without adequate supplies of nitrogen you will be inhibiting both processes and that is not good to produce healthy fruits and veggies. Due to the volatility of nitrogen, you can easily run short of this important element in no time. Nitrogen can escape in the air and more commonly get washed away when you water your plants too much or receive excessive rain falls. For these reasons stated above nitrogen needs to be added more often. If you do not have a tester that will give you a reading of nitrogen in the soil, you will easily tell with your eyes when the leaves of the plants start turning yellow and/or brown. Many novice gardeners think, when the leaves are turning color like this, it is due to not enough water. So they water some more and that washes even more nitrogen away making the soil conditions worse. On the flip side of the argument is having too much nitrogen. Yes you can have too much if you overload your soil with nitrogen rich sources (more on those sources in a few moments). You can tell if you have too much nitrogen if you see a lot of red in the leaves or normally plants that could stand on their own start falling over. The first thing you should do is invest in an inexpensive soil testing kit that will give the reading of soil’s nitrogen level. When it falls below optimal levels as per the reading on the kit, you can mix into your soil a variety of sources. These sources include blood meal, fish meal, and animal waste such as manure and of course you can grow a “cover crop” of soybeans, alfalfa or clovers which actually put nitrogen back into the soil. If going organic is not as important to you as it is to others you can pick up nitrogen rich fertilizer at your local home or garden center for under ten bucks. These products work well when the plants are in the ground making it hard to mix in natural sources of nitrogen. As you can see nitrogen is very important to every home vegetable gardener. Knowing how much your soil has, how much you need to add and the sources for replenishing your soil with nitrogen will go a very long way to increasing the health and harvest of your vegetable plants. Each vegetable is unique in the sense that they like the pH level in your soil to fall within a certain range. The closer you get to that range the better the growing conditions will be for that vegetable. Here is how you can raise and lower your pH level after you have obtained a reading from your home pH tester. The pH level is a scale that displays how acidic or alkaline something is. A pH level less than 7 means, whatever it is you are testing is dominantly acidic and a level over 7 means it is more alkaline. If you get a reading of 7 that means it is neutral which is normally water. Simply just getting the pH reading is not enough. Once you have that reading you need to know how to make adjustments in your soil for optimum growth of the vegetables that you are planting. Here is how you can raise and lower your soil's pH level in your home vegetable garden. Before you can do anything to your soil you have to know what the pH level is. The best way to obtain this reading is with a pH soil testing kit from your local home or garden center. They are as inexpensive as five bucks or as complicated and expensive as a hundred dollars. The choice of which one you get is up to you. If you soil falls under seven on the pH scale then you soil is has too much acid in it. That is ok for plants like cauliflower, but if you are going to grow carrots in that spot, you need to get it to around neutral. The best way to do this is to add lime to the soil in the early spring (at least 3 weeks before planting) or in the autumn months after the gardening season is over. It takes some time for the pH level to rise so make sure you give it enough to do so. If the pH level reading you obtain from your soil is above then that means your soil is too alkaline and needs to come down. Most crops to not like a pH levels above 8.0. That is not to say they won't grow any vegetables or fruit, but bringing that number down will greatly help production. The best way to bring down the pH level is through composting organic materials and mixing in cow or chicken manure. If you bury your food scraps at least 18" deep in your garden throughout the year you will more than likely never run into this problem. However, just like above make sure you mix in your compost and manures long before the start of the growing season or once it has completed. Most home vegetable gardeners never take into account the very important pH level of their soil. If you can keep this level in the optimal ranges for the plants you are going to grow, you will surely a more abundant and tastier harvest. Like most home vegetable gardeners, I started with simply planting seeds of the vegetables I wanted to grow, adding some water, pulled weeds, and waited it out. Over time I realized that although this simple method works to grow great vegetables, I was doing me and my garden a great disservice. By not paying attention to the soil’s pH level and the amount of moisture in the soil I was limiting the production of certain plants that could have benefited by making some adjustments. Just like a really good NFL head coach who makes game time adjustments, you too as a home vegetable gardener need to make adjustments in your soil as the season moves along. There are two tools you should get to know that will help you make these adjustments based on the vegetables that you grow. They are the pH tester and the moisture tester. Each tool can be found at a local home or garden center in your area or purchased online. Simple ones cost as low as five or six dollars while more advanced models can go as high as one hundred dollars. How advanced you want to get is up to you, but most home vegetable gardeners usually go with the low cost varieties since they do an adequate job for the tasks at hand. Let’s start with the soil pH tester. The pH level is the measure of how acidic or alkaline your soil levels are. If you remember from your high school chemistry class, the scale goes from zero to fourteen, where anything under seven is considered acidic and anything over seven is alkaline with seven being neutral which is water. Certain plants like the soil more neutral. Cauliflower for instance grows best when the soil pH level is in the 6.5 to 7.5 range, where as carrots like the soil a bit more acidic in the 5.5 to 6.5 range. So what happens when the pH level of your soil is not in the ideal range? If it is too acidic or too alkaline then you may not produce anything, or your harvest is very limited. By using a soil pH testing kit you can get an accurate reading of your soil’s level and then make adjustments based on what the test tells you (most kits come with recommendation charts for your soil so you can adjust the level accordingly). For the cost of less than seven bucks at some home and garden centers it is well worth the price. Testing your soil for its moisture level means you are looking for a reading of how much water is in your soil and around the roots of your plants. This can become extremely important so as you do not overwater your plants. A couple of things happen if when you overwater. First, too much water can wash away valuable nutrients in the soil such as nitrogen. Ever see your vegetable plant leaves turn yellow? A common cause of this is lack of nitrogen in the soil. Nitrogen washes away easily and when you water too much you are removing a nutrient your vegetables need to grow. Second, too much water can cause the roots of plants to develop what is called root rot. This is caused by overwatering creating a condition around the roots where they are unable to obtain the air they need. When this happens the roots will begin to rot and will kill the plant. If your land has excellent drainage you may never run into this problem but I would recommend investing in this inexpensive tool and measure your soil’s moisture level just to be sure. With these two valuable tools you will now be armed with the information you need to ensure a healthy and prosperous harvest. Combined these two tools can cost you less than fifteen dollars (depending on where you buy them from of course). Do yourself and your vegetable garden a favor, use the tools. Radicchio is a leafy vegetable that is reddish in color with white vines. It has a bitter taste, but is a good addition to a variety of salads and loses its bitterness when it is grilled, fried or baked. Radicchio is easy to grow and performs well in the spring and fall months when the temps are a bit cooler. Here is how you can grow radicchio to your home vegetable garden. It has been said many times over that nature can provide you with everything you need. This statement surely holds true when it comes to adding a birdhouse or two to your backyard. 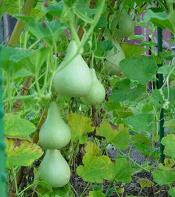 Gourds can be grown for a variety of things; one of them notably can be a birdhouse. Now you can not only grow food for your own consumption, you can grow a gourd or two for housing for birds that can help eat pesky insects that might do damage to your garden. Here is how you make a birdhouse from a gourd grown right in your own backyard. The growth of celery has been documented back to at least 30 AD. Today celery is grown for more than just food consumption, its seeds contain a volatile oil that is used in the pharmaceutical industry as well as to manufacture perfume. However, you more than likely just want to grow some as a garnish for a salad or my favorite, buffalo wings. Here are some steps you can take to add a successful harvest of celery to your home vegetable garden.